Paint and glue are similar in that they both contain powerful adhesives formulated to help them bond to hard, non-porous surfaces. Unfortunately, these qualities make them both very difficult to remove. When it comes to removing paint or glue from plastics, there is a delicate balance between breaking down the adhesive chemicals and not damaging the very surface you are trying to save. 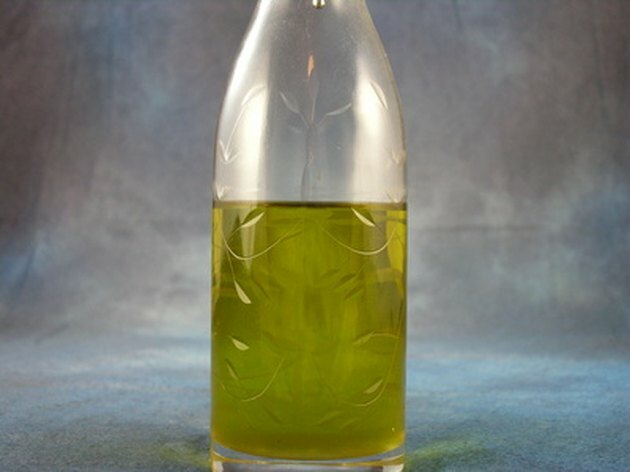 Often, you can safely remove paint from plastics using simple olive oil as a lubricant. Dampen a rag with turpentine. Apply the turpentine to the glue or paint that you want to remove, and allow it to soak for two minutes. Wipe away the glue or paint using a clean, dry rag. If any glue or paint remains on the plastic, dampen a new rag with mineral spirits. Apply the spirits to the remaining glue or paint, and allow it to soak for twenty seconds. Scrape away the paint using a plastic putty knife. Wrap a rag around the plastic knife to act as a buffer between the plastic surface and the putty knife. This will help prevent unintentional scratches and abrasions. Wipe away any mineral spirits that have not evaporated with a fresh, clean, dry rag.